A giant toboggan in the fields of Somme ! a giant toboggan run ! 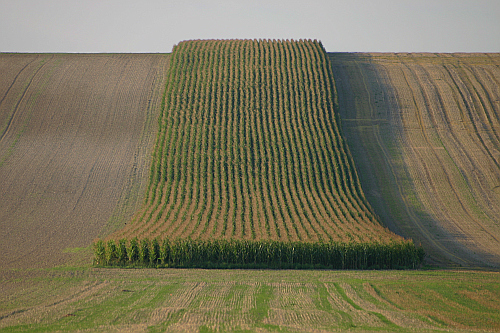 The generous curves of this field suggest the shape of a giant toboggan run... Depending to seasons, the natural slope is overdyed of yellow, green or brown, always presenting a spectacle as aesthetic as astonishing.